We are seeking passionate community members to serve as board members, committee chairs, and volunteers. Many people imagine that becoming a board member of AIGA DFW is a mysterious process, reserved for elite captains of the design industry, with secret handshakes and invocation of the spirit of Paul Rand. That couldn’t be further from the truth. Your AIGA DFW board members are just regular people, most of them designers, who are willing to give up their free time to serve the design community. Most of us got involved by showing up at an event, volunteering to help with a project, and then another, and another, until we were asked to join the board. Programming Director – The Programming Director manages our events calendar and helps events chairs and volunteers pull off our many events. They don’t execute every event, but they do help event teams stay on schedule, make arrangements, and sweat the details. Education Director – The Education Director works with AIGA student groups and builds relationships with local design educators. They help create programming for students and educators and ensure that we support emerging designers. 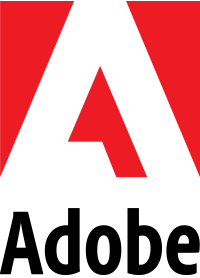 Partnership Director – Our Partnership Director helps us form mutually beneficial relationships with organizations that support design and designers. This includes venues, sponsors, and other design-centered nonprofits. Communication Director – The Communication Director owns our website, social media, and promotional programs. They lead the team that writes and designs everything we put our name on while creating a strategy for getting the word out. Diversity & Inclusion Director – The D&I Director is responsible for ensuring that the interests of minority groups are represented in our chapter. Event Chairs – Events like Design Week, Mentor Matchmaking, and Design Family BBQ don’t happen without someone to own the outcomes. An Event Chair is responsible for the planning and execution of an event (or series of events). They work with the Programming Director to make sure their event comes off without a hitch. Committee Members – All of our initiatives need people who can help plan and execute. These are persistent teams of medium-term volunteers that serve under a Chair or Director and focus on one initiative. Volunteers – We know that sometimes your willingness to help exceeds your ability to make a long-term commitment. If that’s your case, we encourage you to serve as a volunteer. If you can work the door or help set-up or tear-down an event, help make event or social media artwork, write a press release, or make some phone calls, we can use your help. Why should you volunteer for AIGA DFW? 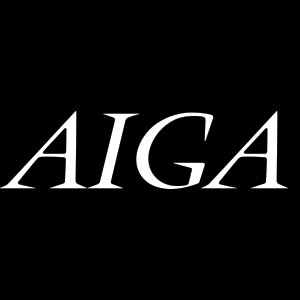 AIGA is more than just a professional organization or a club. It’s a national network of the most passionate design professionals in the world. If you’re just showing up to events, you’re not getting the most out of your membership. Volunteering is the surest path to building relationships with design leaders, not just in Dallas/Fort Worth, but all over the country.